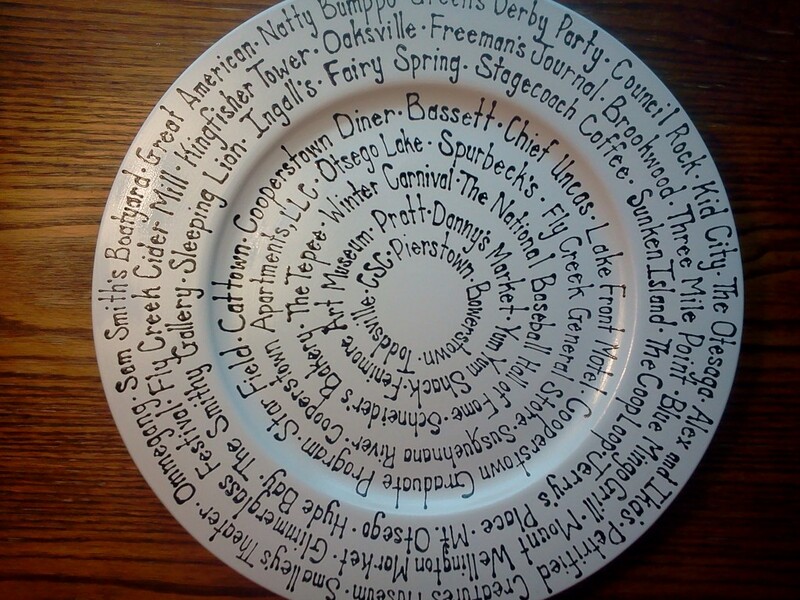 "The Clay Cafe" is a paint your own pottery studio and also the creator of The Cooperstown Plate, a signature plate custom made. We are located in the "big red barn" at The Barnyard Swing Family Fun Center. Open through the summer season and weekends in the fall. 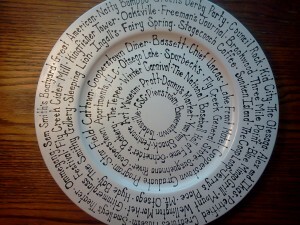 There are several different pieces of pottery/bisque to choose from. 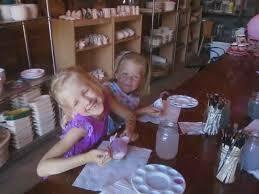 We supply the glaze (paint), the brushes, and everything you may need to make your own special piece, unique to you. The process takes approximately 36 hours to complete. After the piece is painted, it remains in the studio to be dipped in a lead-free clear glaze, once the glaze is dry, the pottery is then fired in a kiln. We love to do bridal showers, birthday parties, reunions, and have the capability of doing these events either on-site or off-site. Because of my fabulous location, we can always combine parties with all that The Barnyard Swing Family Fun Center has to offer; Miniature Golf, Wild West Laser Tag, Gem Mining, Fossil Safari and so much more. The tent on the lower lawn or the front porch can accommodate large groups, such as Class Reunions, Team parties, Corporate Fundraisers and more. Our High School Graduation parties have something for every age to enjoy. Saddle up to the "Make your own soda" fountain counter or the Sassy Cow Creamery and enjoy some of the best soft serve ice cream in Otsego County. Check us out on tripadvisor.com. We have a lot to offer and we have a lot of fun! !